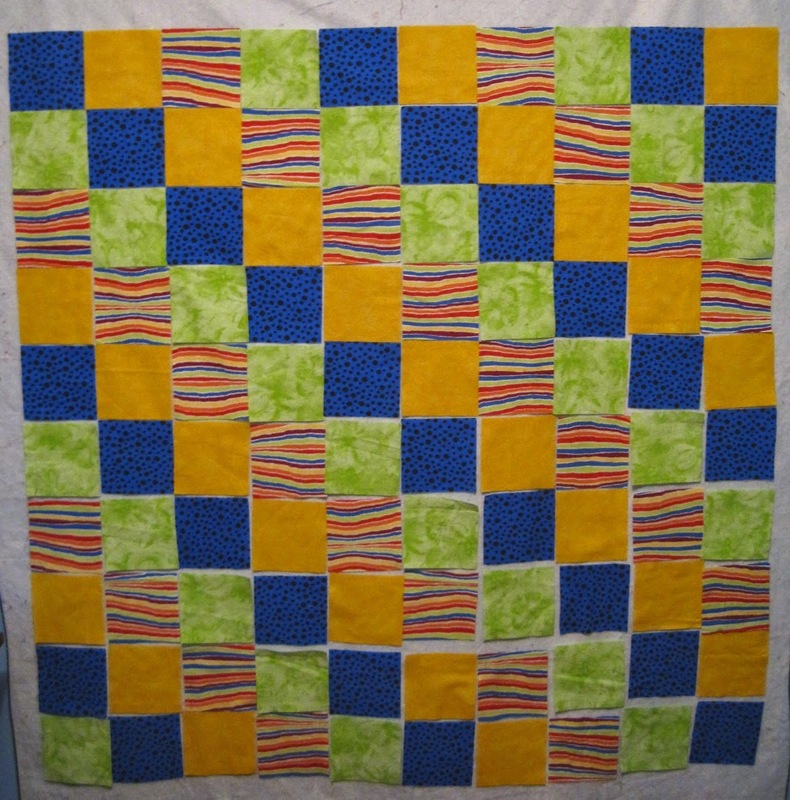 Riding on the high of the baby quilt productivity, I made another one last night. This one is a little bigger, as it's for a toddler. Completing small projects is so motivating. 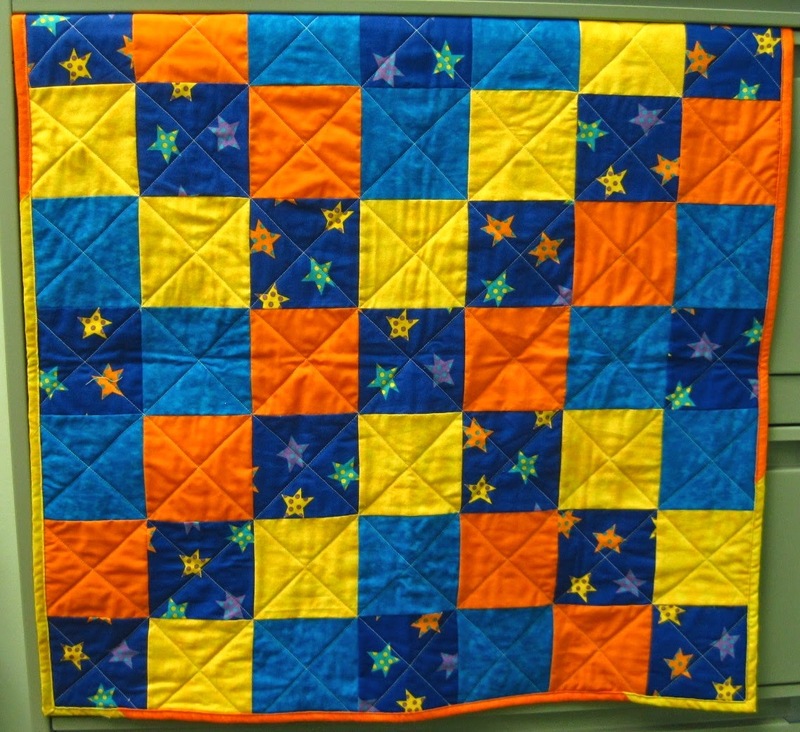 More baby quilts are definitely on the horizon. I haven't made any quilts for our local children's hospital lately, so I think I will be digging through my stash this weekend. And it was still light out when I got home from work today, so was able to get a few photos. 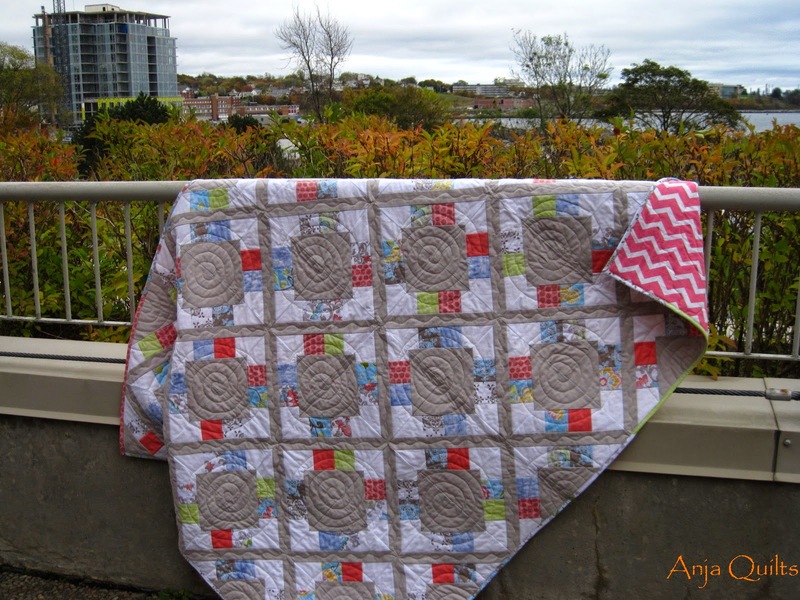 Linking up with TGIFF being hosted by Aylin and with Can I get a Whoop Whoop hosted by Sarah @ Confessions of a Fabric Addict. Last night was a great night. I made a baby quilt in two hours! Disclaimer: The squares were already pre-cut and laid out on the design wall. 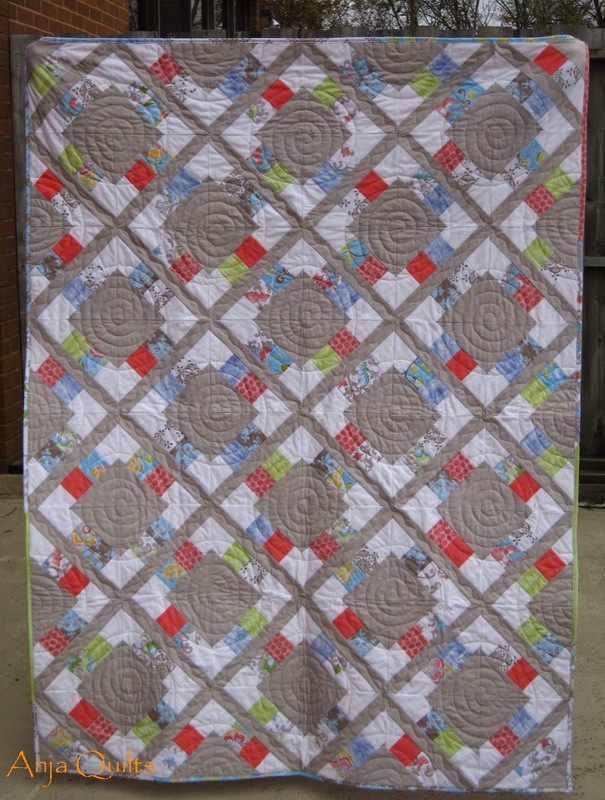 But I pieced, sandwiched, quilted, and sewed the binding on -- all in one night. I had to bring the quilt to work because it was too dark last night to take a photo, and sadly, it's too dark in the mornings as well. I don't like fall/winter because of the cold and the snow, but now it's interfering with my ability to take photos, so even more unhappy. Hoping to get a start on this tomorrow night. Darn computer class tonight is interfering with my quilting plans. 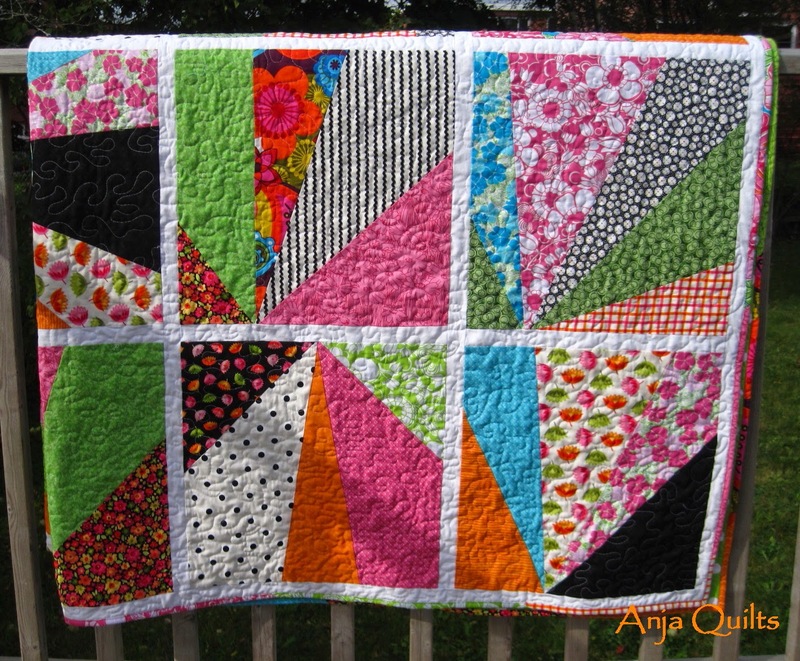 Since it's WIP Wednesday, linking up with Let's Bee Social @ Sew Fresh Quilts and WIP Wednesday @ Freshly Pieced. ...my name is Anja, and I have an addiction...to zippered pouches. 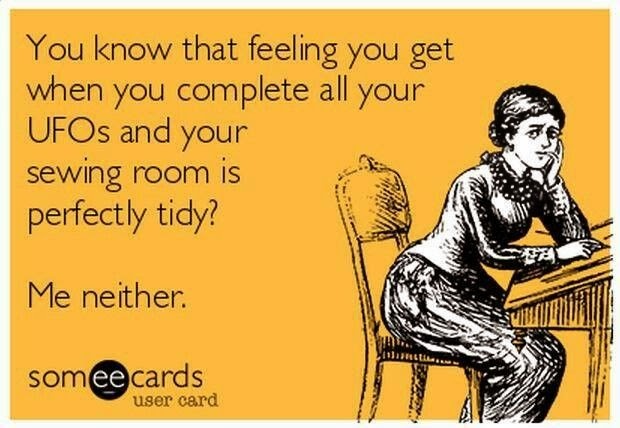 Although I spent a lot of time in my sewing room today, there wasn't a great deal of sewing going on. 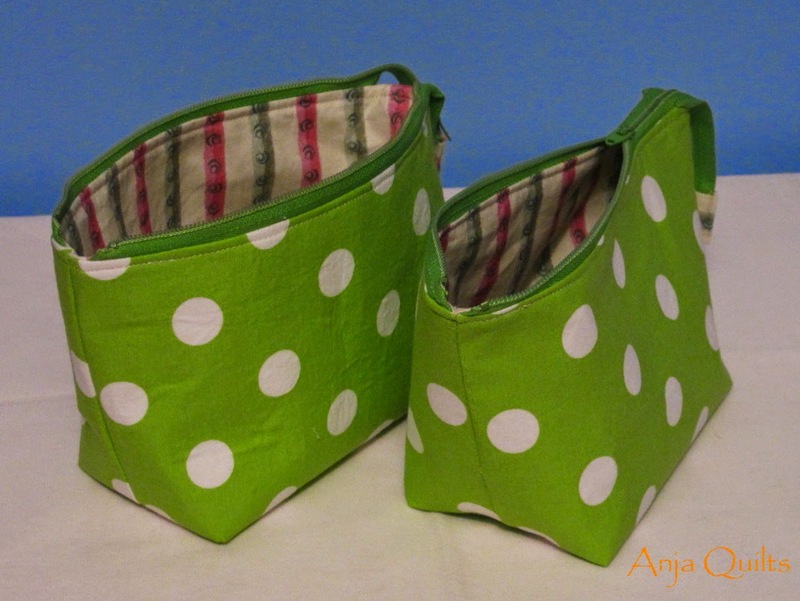 I love the Open Wide Zippered Pouch that I made yesterday, so I decided to make the medium size. I think I see an addiction in my future. I then went searching through my stash to find some coordinating fabrics to make two pouches for Christmas stocking stuffers. Definitely on the road to addiction. To reinforce said addiction, I decided I needed one of the zippered pouches I made for the swap with the Victoria Modern Quilt Guild. Check it out here. So back to the stash to find more fabric. Then on to cutting up the fusible interfacing that was purchased to make fabric storage bins (check them out here) -- I didn't want to buy more if there was enough in the house. 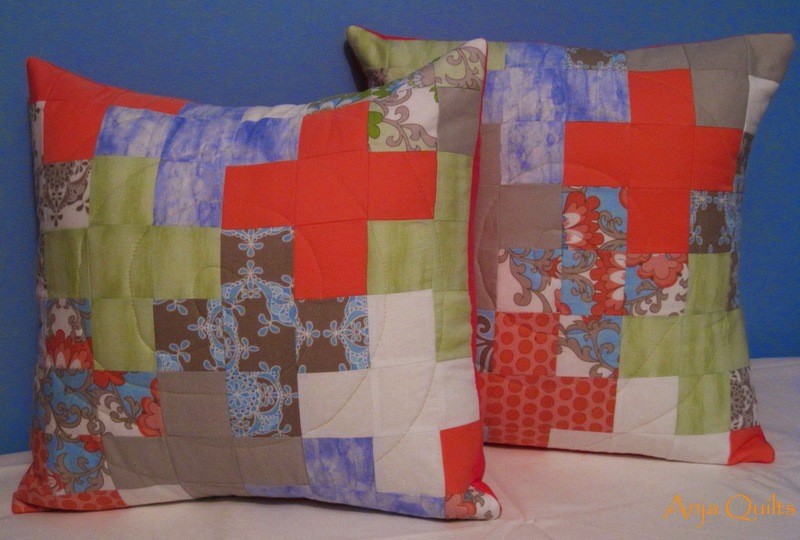 Two plus pillows have been sitting on the design wall all week long. They coordinate with the quilt that was finished yesterday, so time to get those finished as well. Back yet again to the fabric stash to put together two baby quilts. 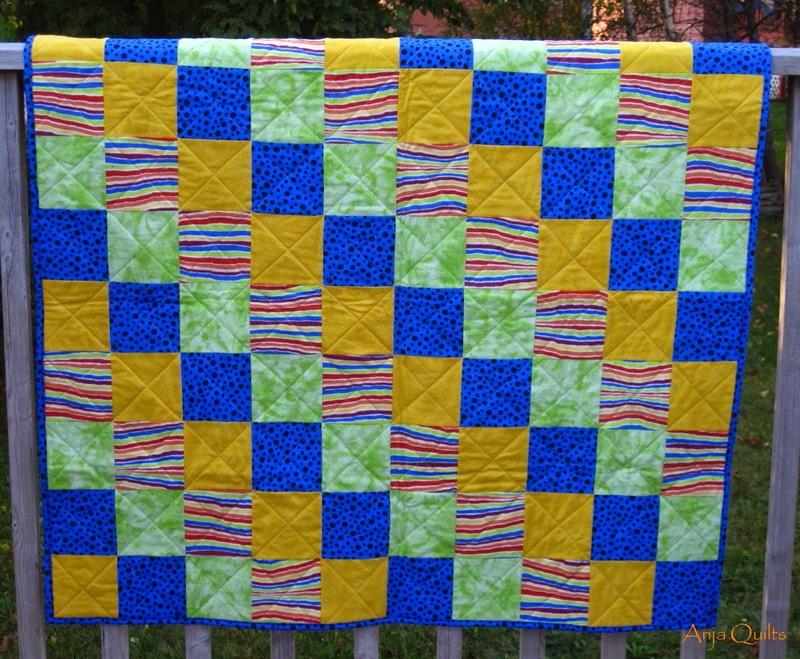 Fabric is now all cut and one quilt is on the design wall. 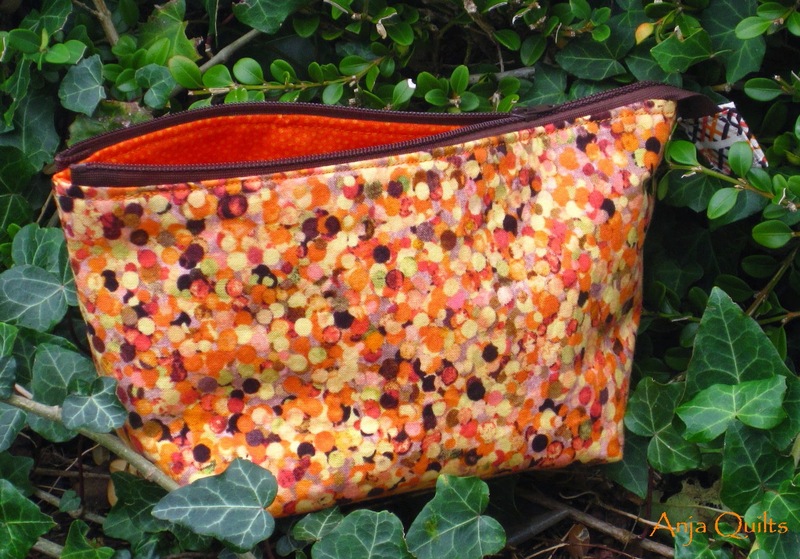 After all the searching for fabric, I decided I didn't want to use the fabric I had chosen for the zippered pouch. So back to the stash tomorrow. Today was Sew In with the Maritime Modern Quilt Guild. I always debate on how many projects to take. Take too many, and you don't finish them all so you feel like you didn't accomplish anything. Take too little, and you finish them all early and then don't have anything to work on. First up on the list was to finish the binding on my Candy Scraps from Moda Bake Shop...because I ran out of thread on the last side and wasn't able to finish it before heading out to Sew In. Project one...done. Next up was a zippered pouch. I've been wanting to try the Open Wide Zippered Pouch from Noodlehead ever since I eyed the ones made by Jenn over at A Quarter Inch from the Edge. You can check out her recent creations here. Project two...done. 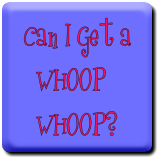 At the September meeting of MMQG, we had a zippered pouch exchange -- bring a pouch, receive a pouch. 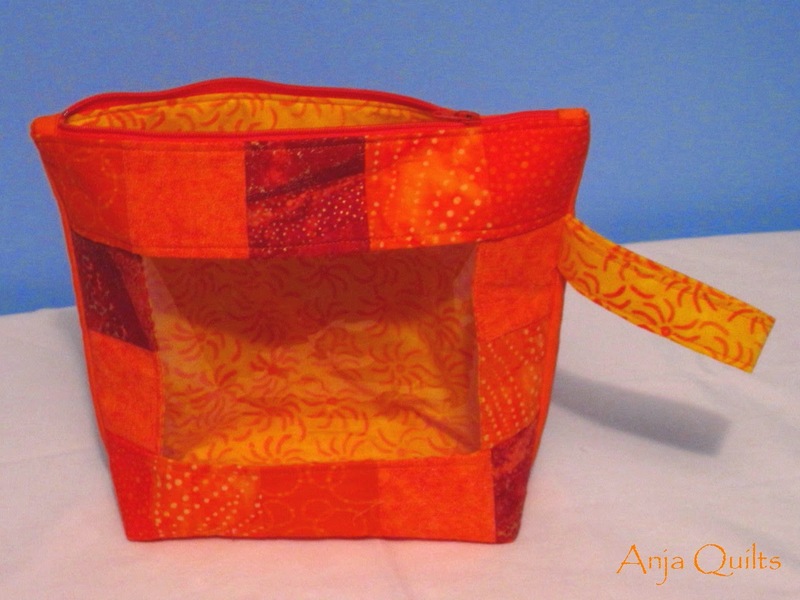 I received a great bag made by Linda over at Scrapmaster. Linda shared her pattern, and I decided to make it for the zippered pouch exchange MMQG is doing with the Victoria Modern Quilt Guild. I had to read some sections of the pattern more than once and had to consult with QD as I had no idea what the instructions meant. But once it was finished, all the directions did make sense. Project three...done. The last on the list was the Seaside Table Runner from Jaybird Quilts. The pieces are diamond shaped, and I was having trouble lining them up properly. So I thought I'd give it another try today. Sadly, still no luck. But then Dominique over at The Running Thimble gave me a very helpful hint. It creates more work as you have to mark all the pieces, but...success!! Perfect alignment. Thanks Dominique. I managed to get some of the pieces marked. Project four...in progress. 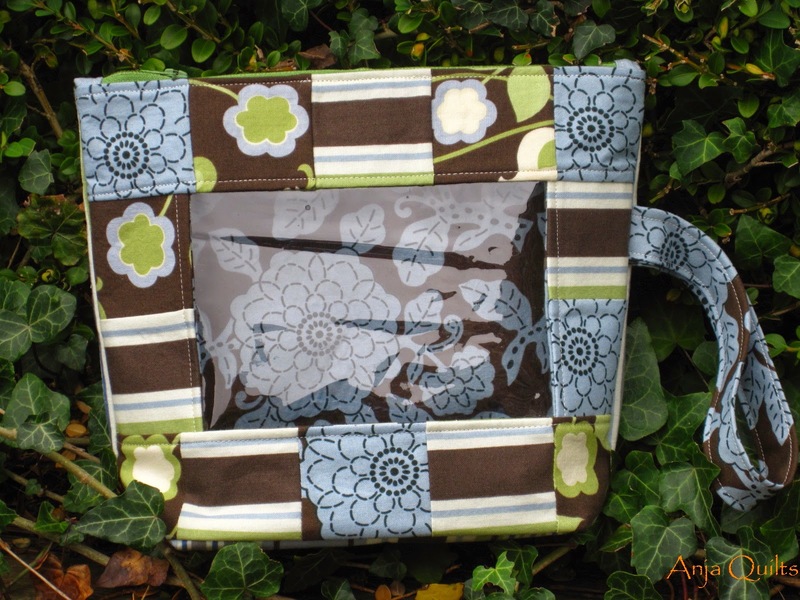 Linking up with Sew Can She for Show Off Saturday. What do you have to show off this weekend? Sunday Finish...The Library Project Finale! Sunday Finish doesn't have the same musical ring as Friday Finish...but I finished a huge quilt...with free motion quilting!!! Show Off Sunday!!! 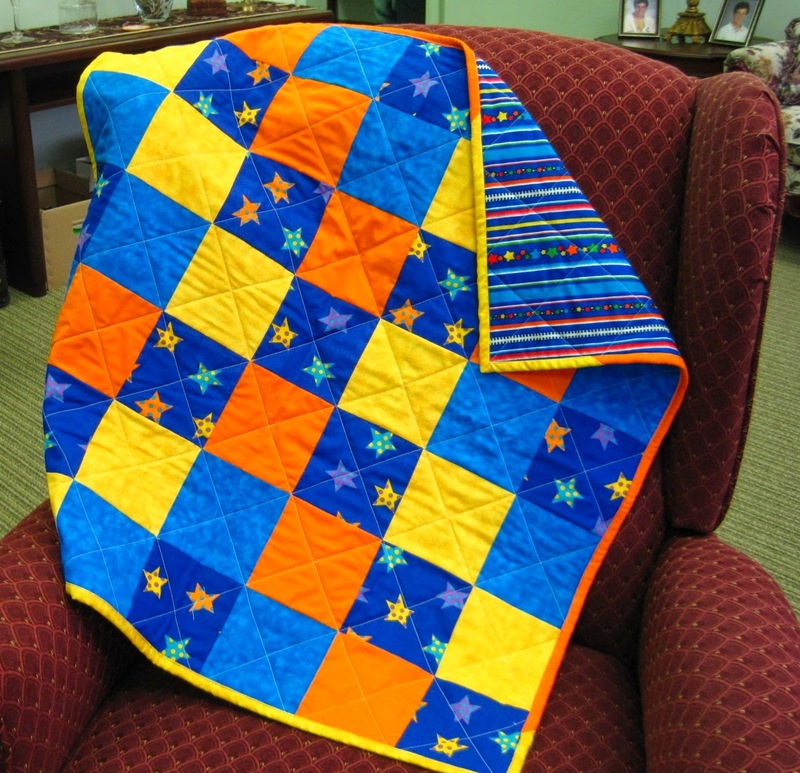 This was the fourth and last of my projects for The Library Project hosted by Adrienne over at Chezzetcook Modern Quilts. Thanks Adrienne. It has been fun, and it was a good motivator not to lose sight of projects. 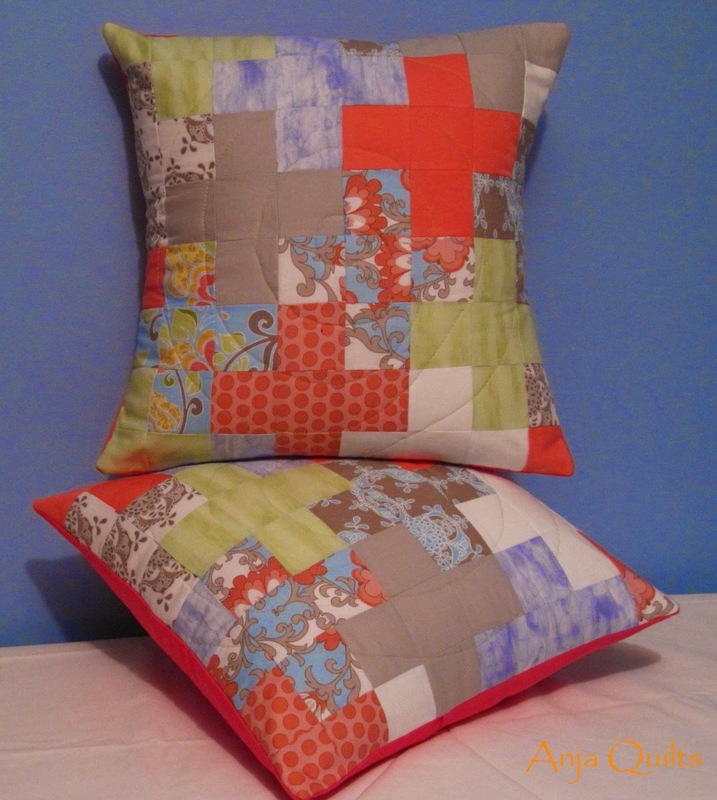 The tutorial is found over at Happy Quilting. It was a great tutorial and a fun quilt to make...I just didn't realize how large the quilt would finish. 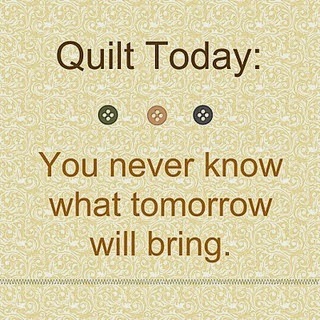 The plan was to quilt this afternoon, but I'm second-guessing my choice of quilting. Need some more time to ponder. The sun is out this afternoon, so I think perhaps an outdoor adventure is in order. 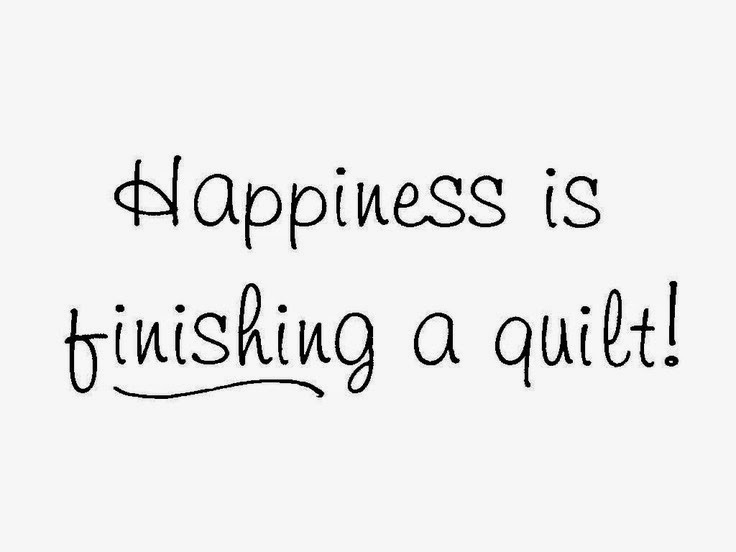 I hope you found some quilt happiness this weekend. I did!! 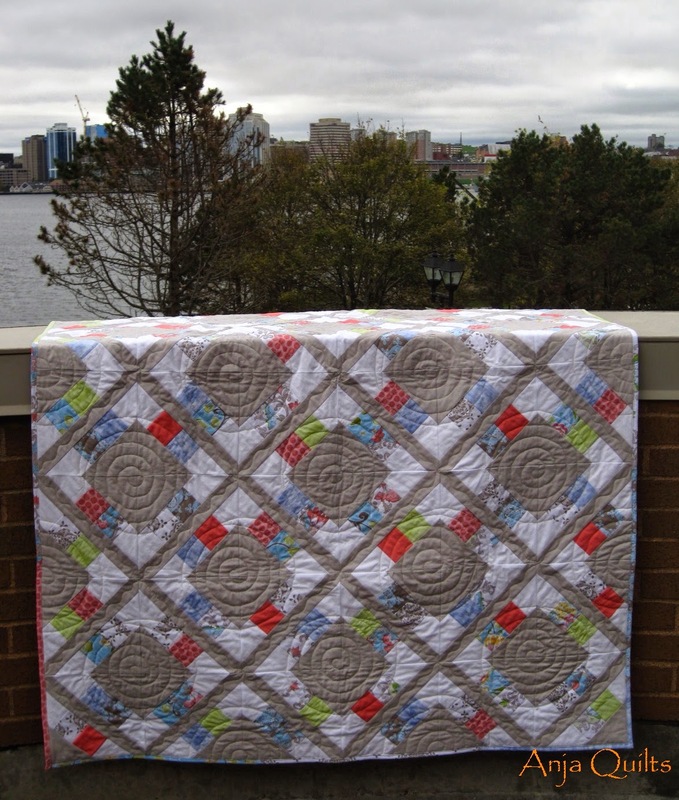 I can't believe it's been three weeks since I've quilted and posted to my blog. In my mind, I thought it was two weeks. Oh my... But I enjoyed the quilting break to catch up on some reading and to take it easy....okay...I was really procrastinating about some quilt tops that needed to be quilted. But success!! I finished a crazy nine-patch that has been hanging around far too long. 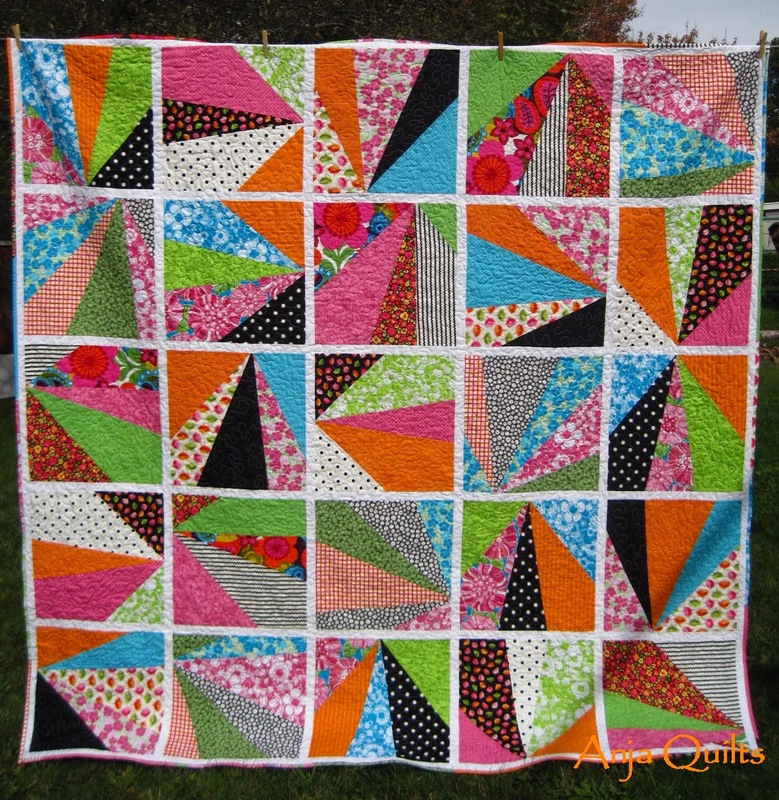 I decided to do some "crazy" straight line quilting. I see now that there are some sections that have a lot of quilting, and other sections, not as much. I guess that adds to its character. 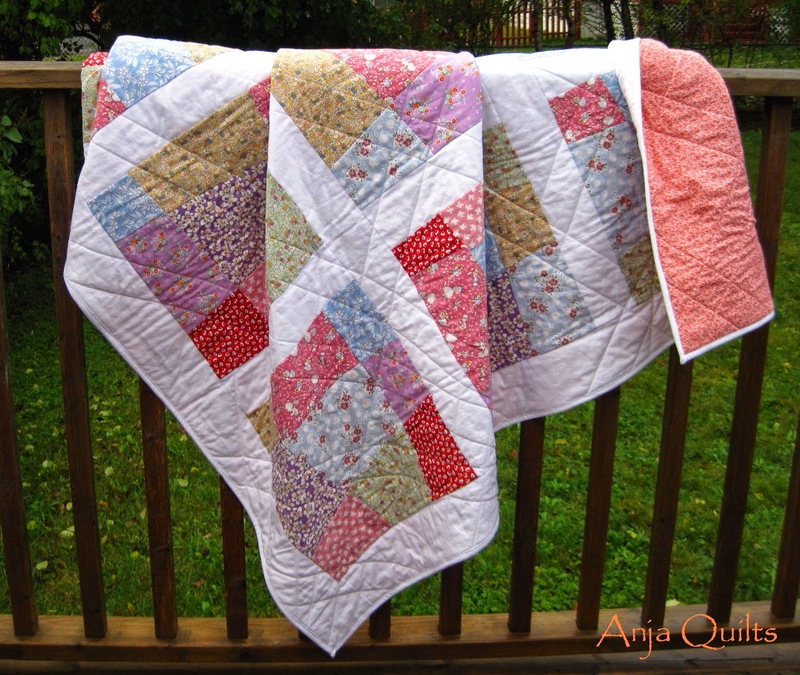 I have been spray basting several of my quilts lately thanks to the suggestion by QJ. 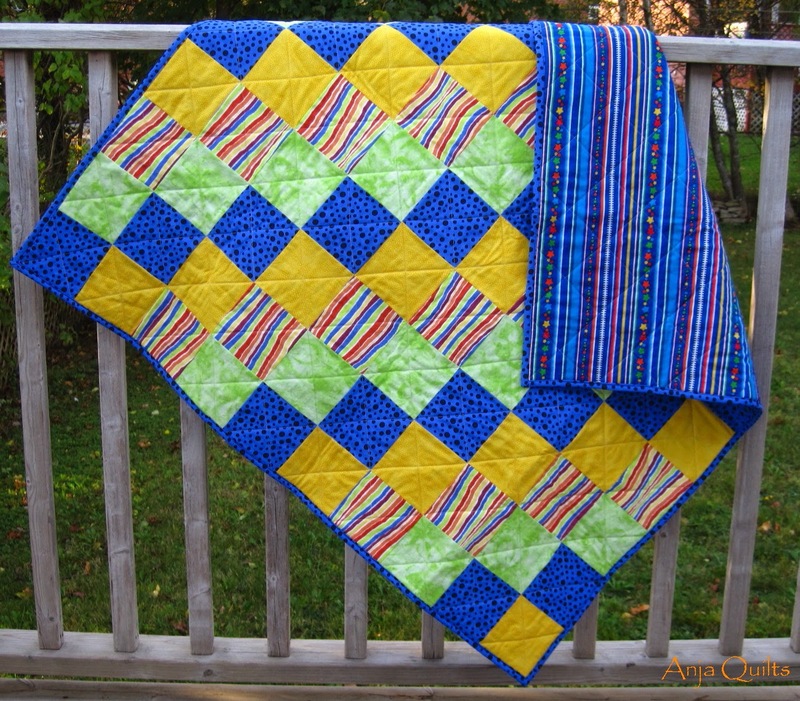 I was only doing smaller quilts, but I was still having issues with the fabric puckering. QJ suggested this week to lay down the batting, spray it, and then put the backing on top of the batting. Genius!!! What a difference. Instead of the hardwood floor in the living room, I basted on the carpet in the basement. The batting is so much easier to smooth out, and it sticks to the carpet. 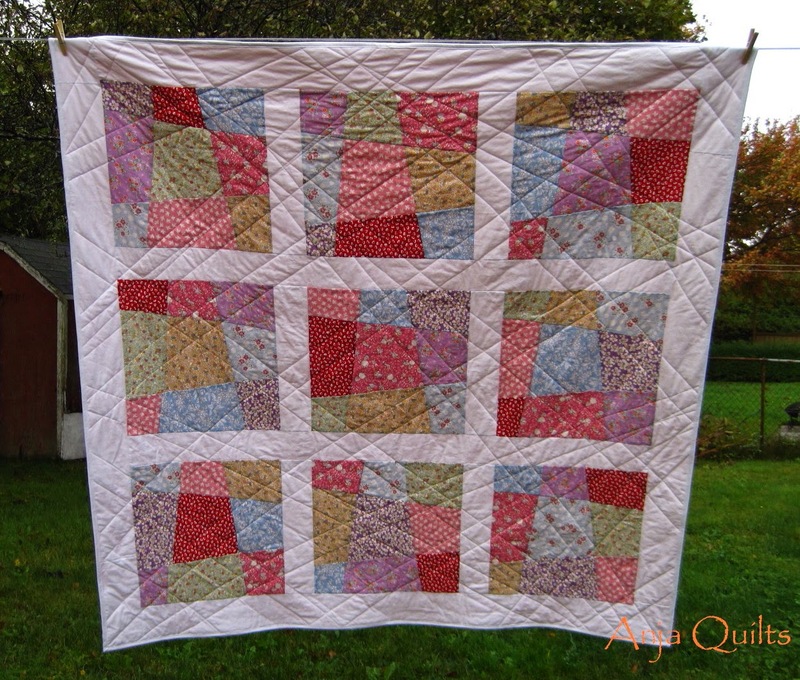 So I stepped out in faith and attempted to spray baste a 85-inch square quilt. Success!!! It's like a whole new world has opened up. Bye bye pins!!! Linking up with TGIFF over at Simply Pieced.